Why Do I want a Utah Permit? 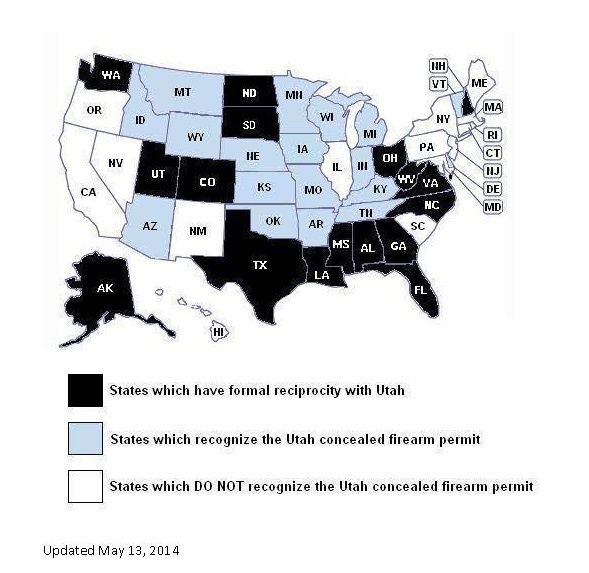 The Utah Concealed Carry Permit is one of the most sought-after multi-state permits as its wide acceptance allows the permit-holder to carry a handgun in up to 34* states, while at the same time remaining one of the most inexpensive permits to both acquire and maintain. Our Utah Concealed Carry Course is ALL-Inclusive. Utah’s Permit does NOT allow you to carry in New York State. You must have a valid New York Pistol Permit to possess a pistol in NYS. Course fee covers the 4 hour course of instruction, passport photo and finger-printing. Utah application fee of $67.00 is NOT included. * New York State residents can carry in 28 out of the total 34 listed states under the UT permit.